The sleek, slimline palette is a favourite of professional make up artists, who adore the way in which the buttery powders blend together beautifully to achieve a seamless, photo-ready finish. Starring a multitude of statement brights – true purples sit alongside sunshine yellows and flamingo pinks – it’s hard not to lust after this universal palette. Absolutely love this palette. Colours are long wearing and really pop in colour. Would definitely buy more Morphe makeup again. This palette was the first that I ever bought from Morphe. I was recommended to try Morphe out so I had high hopes. The palette has really pretty colours but it isn't very pigmented so it doesn't turn out the way I want it to. A little disappointing but it's okay I guess. I would give it a 3.5 if I could. One of the best colorful palettes ever. I love this! Pigmented and big pans! I expected it would be more pigmented. The colours are amazing but they are a bit patchy and difficult to blend. My first Morphe palette was 35 B but it left STAINS ON ME EYELIDS. The Purple colors and not only. This is by far the best pigmented palette I've used. I'm in love with it. Crazy looks, you got 'em - natural looks, you got 'em. Adore it. I love it, nice eyeshadows. 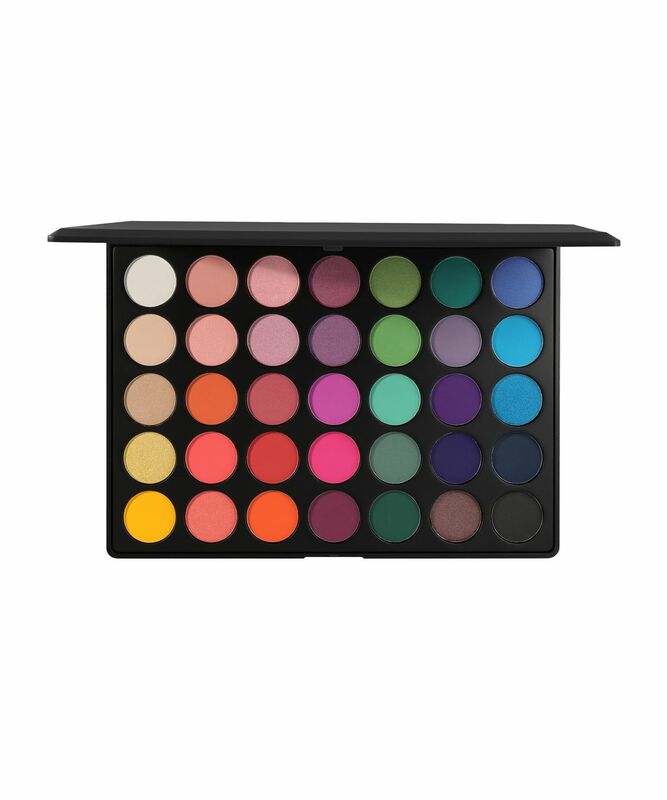 This is the first time ordering this palette, I think it is a nice eye shadow pallet. The palette itself is very pretty, however it arrived broken. Only one shade (azure which is a dark shimmery blue) was shattered and this meant that it got into all the other colours. I couldn't have a replacement as the palette was out of stock (I can understand) and I was given a 20% refund. Super fast service, amazing product, so easy to select and order it made my daughter's Christmas. Fantastic site, great customer service! My daughter was made up with this palette, really vibrant colours that are great to blend together!! Amazing, super blendable, the shimmers are insane. A little fallout on the pink but who cares? The blues are an actual dream! 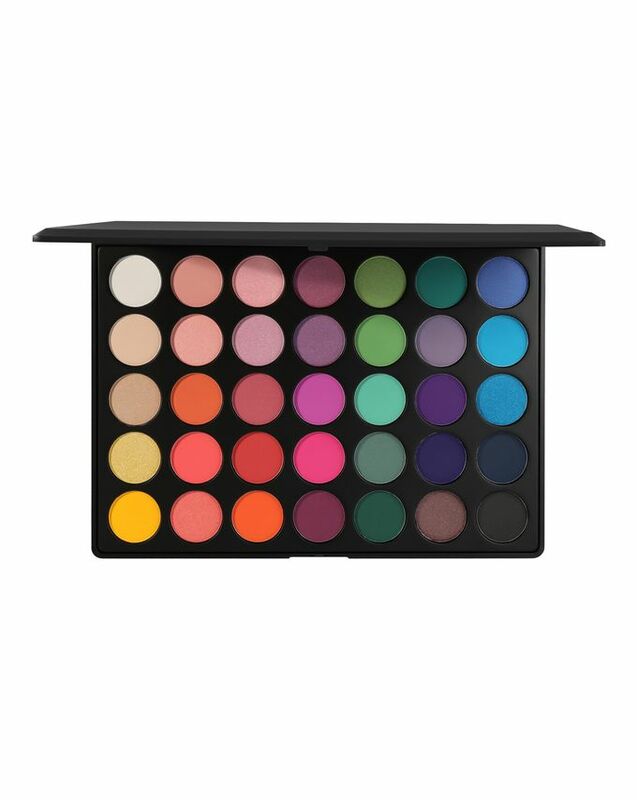 Bought as a gift for our granddaughter for Xmas so obviously can’t comment as yet about what she thinks, but she asked specifically for something from Morphe cosmetics. So hopefully she will be pleased. Sooo pigmented, in love with it. Ho acquistato questa palette sopratutto per i colori rosa fuxia viola , devo dire che è una palette molto bella, pigmentata, facile da sfumare , veramente si possono fare tanto trucchi diversi..adoro morphe ottimo rapporto qualità prezzo.. **** I bought this palette especially for the pink fuchsia purple colors, I must say that it is a very beautiful palette, pigmented, easy to blend, you can really do a lot of different tricks .. adore morphe excellent value for money .. I loved it ! This palette is awesome with beautiful pigmented colors, and thanks to Cult Beauty delivering it to India in such a short time..so happy to have it! Thanks to Morphe, and thanks to Cult Beauty!! Some of the colours in this have such amazing pigmentation but then others have hardly any...particularly the shimmery ones & the yellow, which is kind of disappointing - means you have to dip into other palettes to create a full look. I was obsessed with the look of the palette and had to buy because I love using bright colours. However, the greens, blues, and purples in the palette aren't great. The warmer tones are nice, but the last three columns lack pigmentation and are difficult to work with. Also, the neon pink (which is a beautiful shadow) really stained my eyes for several days.Overall, the palette isn't too bad and I will continue to use it but, I was definitely disappointed. Wow my favourite palette the colours pop a little goes a long way. I was really excited because of the colour spectrum and I want this palette specifically to be my first bigger palette. Colours are great, but I don't wear them as much. Also I was pretty disappointed by the pigmentation, but for the price - I'm not that sad and someone wrote here if you use great concealer, it's totally okay. 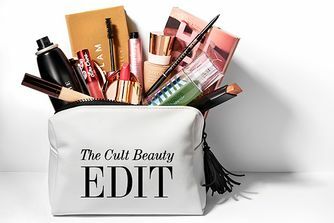 I think that if you're a MUA starting out, this is great choice. Also very fast delivery to Czech Republic from UK! Love love the colours, fast delivery to my country. You'll need a good concealer though, if you want the colours to show really well. So get you a good base first then you can get the best colour payoff. I absolutely love this product. It just needs a mirror. It ticks all the boxes except that one. I'd do 4.5 stars if I could. If I could give more stars than 5 I would :) I’m sooooo in love with this palette. I got this for Xmas and it is amazing. it isn't patchy and blends really well, not as pigmented as the James Charles one but is definitely buildable and has lots of variations of different colours. My daughter loves this pallette. The pigments are amazing! Bought for my daughter who loves it and is a dancer so will use the bright colours for competitions. Beautiful, extremely pigmented and well-priced palette. Brilliant pigmentation and easily blendable. Bought this as a Xmas gift for my sister! She loved it and used it for NYE. Love them, easy to blend, good price, highly pigmented and not too much fallout. Better than some of my high end eye shadow palettes. Almost as good as Urban Decay Electric palette but way better than the Huda Beauty sapphire pallette! The palette is so beautiful. Most of the shades are extremely pigmented. They blend really good and are so easy to layer. You can do so much with this palette. Also, Cult Beauty delivered the order so fast. I'm so happy with the service and the products. The colours are amazing and the pigment is good. Only the white shade is a little transparent, but other colours are like dreams. My favourite crazy palette! If you don’t have this palette and love bright colours buy it now! The colours are gorgeous and so pigmented, I have had this palette forever and have just purchased another one I love them that much!! 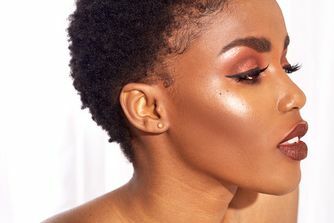 Never discontinue this palette morphe, and if you do send me 500 of them! It came after only 2 days! Just in time for Halloween. Definitely recommend, you can have so much fun! I will definitely order from here again. I love this palette so much! Amazing, bright colours and very blendable. Ordered this palette Wednesday evening and it had arrived by Saturday morning with just standard delivery, very quick service and the palette was protected with bubble wrap. The palette itself is beautiful, a range of colours which are pigmented and easy to blend. 100% recommend, very happy!! Must have in your kit!